Millennials have a lot of tools at their disposal — especially when it comes to job searching. As a young professional determined to land a position in marketing, last year I became part of the 73 percent of 18-34 years olds who used a social network to find my current job (which, by the way, I love). Before you put yourself out there to potential employers on the web, you want to make sure you’re painting an attractive portrait of yourself. Clean up your current social media accounts or create new ones that exist solely for professional purposes. Update your resume, portfolio, and LinkedIn profile, adding the industry-specific buzzwords that get employers stoked. 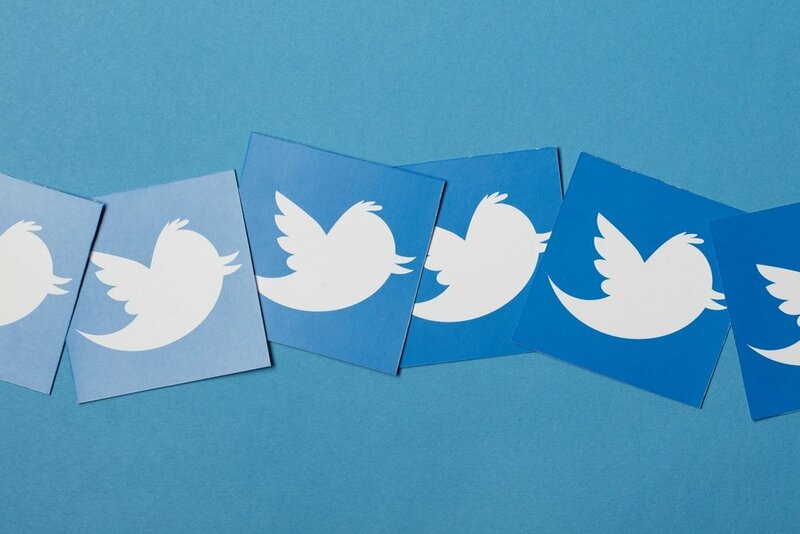 For your professional Twitter account to be effective, you’ll need to follow every company you’re interested in working for, as well as individuals who already work for those companies. Engage with them by replying to and quoting their tweets. Give commentary on industry-related articles and tag industry-thought leaders to ask their opinions. Take notice of any professional events they mention, or colleagues to whom they tweet. Another great way for you to get on the radar of the companies you want to work for is to add them to public lists. Get these companies and individuals to notice you, and don’t forget to make your Twitter bio the URL of your LinkedIn profile, so the only thing separating a hiring manager from your resume is a single click. S ocial media is certainly an ideal way to be considered for a job, but there are a few additional steps that you can’t afford to avoid, like attending events. When you see the opportunity to be around dozens — if not hundreds — of industry leaders, take advantage. Make business cards noting your contact information and most attractive professional skills. Print out several copies of your resume and dress to impress. Conference and trade show tickets may be expensive, but getting a chance to talk to prospective employers in person is impossible if you sit at home in front of your computer all day, hoping you receive some kind of miracle email inviting you to apply for a role. 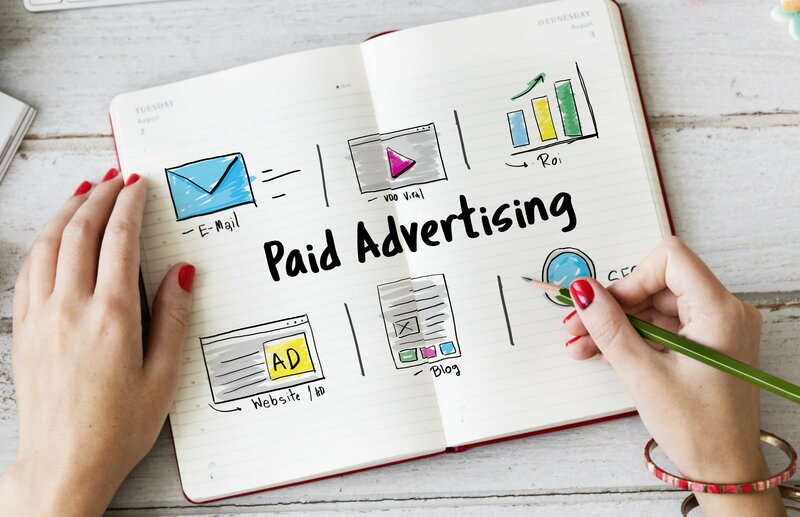 While creating social media accounts and getting yourself noticed online is free, the expenses you may incur as you advance along your job hunt are well worth the cost. Unless you have a direct connection, you’ll need to find another way to talk to these industry leaders in person. 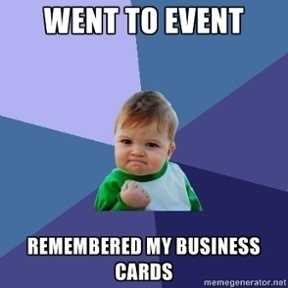 When they see you at a conference, with your business cards and resume in hand, they’ll realize that you mean business. Not everyone makes this effort, so it’ll help you stand out. Social media is extremely relevant at these events when hiring companies use the event hashtag. You see that they’re hiring and realize that with a few direct tweets, all of your preparation may be about to pay off! I often heard the phrase “Always Be Closing” At HubSpot’s 2015 Inbound Marketing Conference in Boston. While that absolutely applies to sales, it’s also key to your job hunt or any other professional goals you want to reach. At that same conference, I was searching through the event hashtag (#INBOUND15) and found THOMASNET RPM — they were promoting posts saying they were looking to hire. 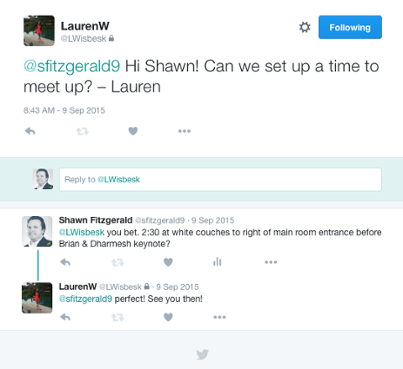 I vetted the company and tweeted that I was very interested in a meeting — which resulted in a quick meeting with founder Shawn Fitzgerald right before a keynote speech. I expressed my desire to apply for the Digital Marketing Coordinator role, provided him with my resume and business card, and told him why I would be the best choice. He shared the hiring manager’s information with me, and I met with her the following day. At this point it might be needless to say… I got the job. Occasionally, applying for a position through an online portal ends in success. More frequently, however, you’re left with a rejection email in your inbox. Every millennial in the United States knows that the level of competition for jobs in today’s economy is high. You need to take advantage of new and perhaps less widely used resources. Stop “submitting” the one-click applications LinkedIn offers through its Job Search app, and start making a real effort to use social media to your advantage. My story is unique, and one of which I’m extremely proud, but anyone who is willing to put in the time can use social media to find his/her next job.